We believe that investments should be proven to increase the expectation of return and decrease the expectation of risk. We only recommend investments in a portfolio that meet both of these criteria based upon empirical data and academic research. By minimizing investment risk and creating more tax-efficient portfolios, we believe your assets will be better positioned for growth. 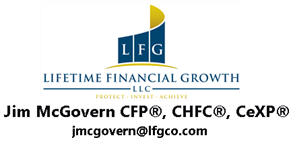 Through our unique and mathematically-driven strategies, we aim to help clients pursue their vision of financial success.